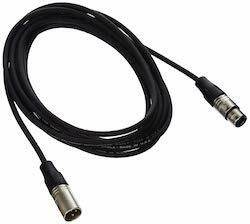 The Planet Waves Classic Series XLR microphone cable is offered in 10, 25, and 50-foot lengths. The connectors are Nickle-plated brass and they offer a limited lifetime guarantee. 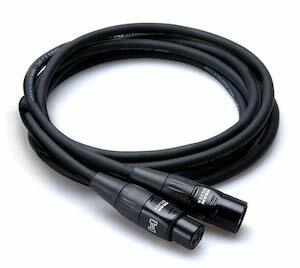 The Hosa Pro REAN is an excellent budget XLR cable option. 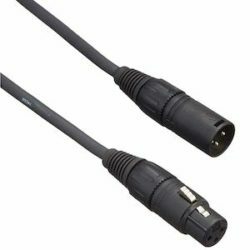 They offer a ton of different lengths ranging from 3 feet to 100 feet, use silver-plated REAN connectors from Neutrik AG, and use 20 AWG two-conductor shielded cables. If you need to add some color to your studio, LyxPro has a bunch of different options for you and have lengths from 1.5 feet to 100 feet. 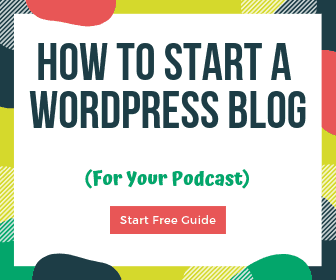 Getting different colors can help keep things easily organized as well. The cables are 24 AWG Oxygen-Free Copper (OFC) and have twin conductive PVC inner shields, 98% braided, and a cotton yarn wrap to help reduce noise. The contacts are gold-plated and the connectors are solid and snug when plugged into nearly any mic I’ve tried. Most home studios are best using mid-range cables. They usually run between $25-$50. 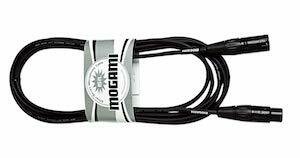 Mogami is well-known as a leader in microphone and instrument cables. The Mogami Silver line is their “budget” line, although it falls into the mid-range pricing here. You can pick one up at 3, 6, 15, and 25-foot lengths. 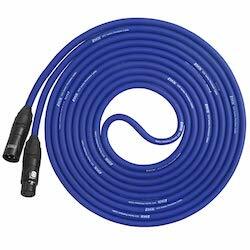 Rapco Horizon is a highly recommended mid-range XLR cable. The Rapco Horizon N1M1 uses Neutrik connectors, copper conductor and shield, and durable PVC jackets. 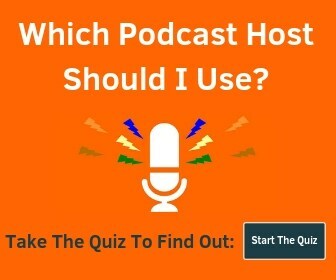 They will work great for both stage and studio use. High-end premium XLR mic cables are overkill for most home studios, but they definitely have their benefits. They are all excellent at reducing noise and will definitely give you the best possible sound quality. 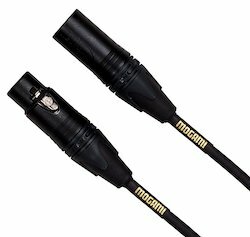 Mogami Gold Studio cables use a balanced 4-conductor cable that is known to reduce unwanted noise and RF interference better than other 2-conductor cables. You can get it in lengths ranging from 2 feet to 100 feet. If you want one of the best XLR cables out there and don’t want to upgrade down the line, this is the one you want! They also have an amazing warranty should anything happen – just double-check you are getting a Certified Mogami cable. Mogami Gold Stage XLR cables are designed to take a beating. You can get them in 20, 30, or 50-foot lengths. The lifetime “No Excuses” warranty makes the cost worth it as well.